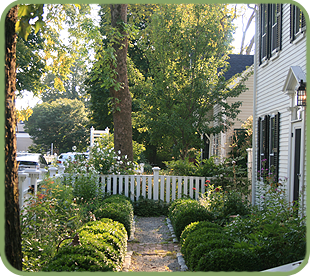 As one of New England's top landscape design companies, our approach to landscape architecture and garden design is simple: we seek to capture the best of the old while integrating fresh, new perspectives where appropriate. In some projects the aim is to celebrate the native plants & pre-existing conditions whenever possible and to create an environment that is wholly in keeping with the beauty of the natural scene. In other sites, our work breathes new life into an aging garden design or important relic of landscape architecture. While other projects celebrate a blending of new and old, indigenous and introduced, in creating spaces that move easily from the woodland into the garden or from the modern into antiquity. Our private and public landscape architecture has won the recognition of such notable groups as the New Hampshire Landscape Association, the American Society of Landscape Architects, the Garden Club of America and have been published in such well-known popular magazines as Colonial Homes, Victoria Magazine, Old House Journal, Accent and others.